The international primary school operating within the framework of the International Trilingual School of Warsaw offers students a cordial, engaging, interesting and caring learning environment. We teach children in grades 1 to 8. We encourage parents to join the child’s learning. The curriculum includes languages, maths, nature, biology, geography, chemistry, and physics, as well as social sciences/history. Humanities such as languages, history, geography, and social sciences are taught in three languages, science subjects such as mathematics, physics, chemistry, nature, and biology are taught bilingually. Art, music, physical education, dance, swimming, programming, and IT classes, as well as technology, are taught monolingually, in one of three languages of teaching. We teach in English, French, Spanish, Polish and Chinese. A primary school is a vibrant place organized to develop students’ natural curiosity and creativity while supporting their scientific, physical, social and emotional development. With our curriculum, we support children in developing the skills of effective communication, creative thinking, problem-solving, group and team activities, and participation in the social life of their environment. We want them to make positive changes in the world around them in the future. The program was designed to provide our students not only with intensive learning but also interesting, exciting and significant teaching experiences. Preparing students for living in a fast-changing world requires not only learning to read and count, but also to develop real passion and interest in science. 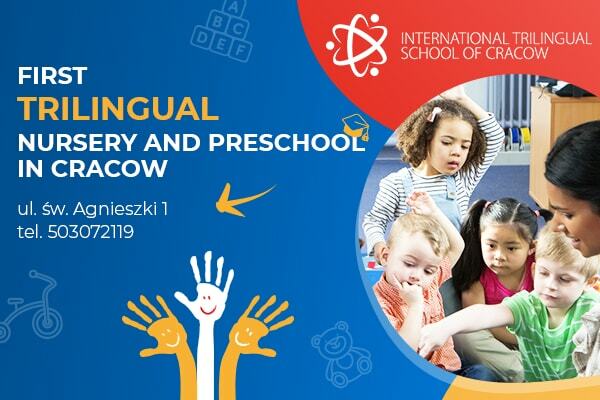 Prepare the child to continue their education at the next stage in any chosen Polish or international school (one of the six educational systems). Teaching a child of three languages at a level that he can continue his education in any educational system. Identification of specific skills, expectations and educational goals. Building an approach to learning that is characterized by initiative and challenges, and openness to others and their dissimilarity, combined with a strong sense of belonging to the school community. Introduction of cultural elements related to the language of instruction. Creation of learning conditions in which the child is willing to learn and the school from which he/she reluctantly leaves after the end of the classes. Creation of optimal conditions for all children to learn all their life. To provide all students with a broad, balanced and ambitious curriculum. equipping students with knowledge and knowledge of the world, which in the twenty-first century will allow them to develop their scientific and professional careers, and private life. Ensuring equal opportunities for all students regardless of gender, ethnicity, religion and social background. Each of the above programs has strengths and weaknesses – comparing standards that 6 programs assume allowed us to determine the highest educational standards for each subject and for a given age group. We follow these standards. To get more information about the ITSW elementary school program, please contact us.